Home / Boxing Articles / The Fans\’ Voice. 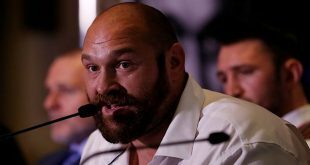 Welcome to “The Fans’ Voice,” a look back at the hot topics and big talking points of the week from the SaddoBoxing.com forum members. If you have an opinion and want to be heard, why not join today and be part of one of the biggest and best boxing sites on the net. Ronald “Winky” Wright vs. Felix “Tito” Trinidad. Naturally the first talking point of the week was Wright’s virtuoso performance against Trinidad. Wright’s performance came as a big shock to some of the forum members who perhaps have not seen enough of his talents or simply assumed that Trinidad would be too strong. For a portion of the forum members, this came as no surprise at all, although to be fair, I do not think anyone envisaged it being quite the cakewalk that it was; Trinidad was clueless and Wright ran rings around him all night. Thought quickly turned to both men’s futures with some calling for Tito to hang them up once again, it is difficult to see where Tito goes from here, can he do any more in a rematch? You would think not, such was Wright’s dominance. Wright however, would appear to have some choices. 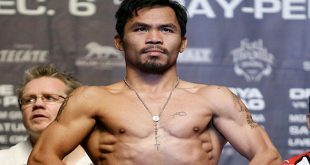 There is the possibility of a rematch, however competitive it might be, there was also talk among the forum of his chances against middleweight kingpin Bernard Hopkins. However, it often does not come down to whom Wright wants to fight, it is almost certainly once again a case of who wants to fight him. On the Wright-Trinidad under-card the forum members were on the whole very impressed with Zab “Super” Judah’s no nonsense approach in his welterweight title defence against game but limited Cosme Rivera. In a fight that many thought would see Zab coast to victory in an incident free affair, it was a pleasant surprise to see Judah immediately stamp his authority on the fight, flooring Rivera with the first left hand thrown in anger. Zab brought a halt to proceedings in the third as he followed up a monster uppercut with a right hook to the top of the head that had Rivera down and out. Judah will now look to secure a summer date, with Oscar de la Hoya at the top of his wish list. Who is the future of the heavyweight division? 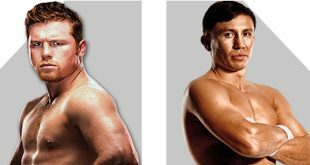 Whilst Vitali Klitschko rightfully sits at the top of the pile, the question is, “Who is the future of the heavyweight division?” Two names repeated by the forum members are Samuel Peter and Nicolai Valuev. Nigerian born Las Vegas based Peter is currently 23-0 (20 early nights). Whilst he is not the most technically gifted of fighter’s, Peter has two huge plusses on his side, he is an out and out puncher (see Peter vs. Jeremy Williams), and at twenty-four-year-old, he has plenty of time on his side. Peter is currently working his way through the usual suspects that decorate a novice’s record, and making good work of it to; given time and the right direction he should be a major player on the world scene in a couple of years time. Nicolai Valuev can actually fight, no ifs or buts, the man has some skills, and if you add that to his size, appearance, flawless record and moniker “The beast from the East,” he should be a promoters dream. Unfortunately for Valuev, it hasn’t quite materialized yet. A missed date on American soil due to the terrorist attacks on September 11 and his unwillingness to bow to rival promoter’s pressure saw his career stagnate at the end of 2001. Valuev now appears to be on the verge of breaking through once again, with new management and a lofty position in the WBA’s rankings, he looks primed for a tilt at the big time. Unlike Samuel Peter, Nicolai Valuev is not a young man, at thirty-one-years-old, he needs to get his skates on and make the next twelve to eighteen months count. Can anyone unify the light welterweight division? If a poll was taken to find the best weight class at present, the run away winner would be the light welterweights; a plethoraof talent from all over the globe with more than enough variety to suit everyone’s needs. With that in mind, we ask, “Can anyone unify the light welterweight division?” First on the list has to be Kostya Tszyu. Tszyu unified titles at 140-pounds before, so in theory he could do it again. 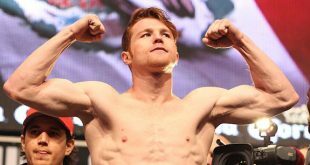 Although at this stage of his career he will be looking more towards the welterweight division and a potential rematch with Zab Judah who is undisputed at that weight, or possibly a mega fight with Oscar de la Hoya, although the chances of De La Hoya seeing 147- pounds again are very doubtful. Much like Kostya Tszyu, Floyd Mayweather Jnr will not be at 140-pounds for a very long, Mayweather also has his eye on bigger fish and it would not be a great surprise to see him immediately move on to pastures new if he dethrones Arturo Gatti as WBC champion. Gatti himself is putting the finishing touches to his career and should he get past Mayweather, I really can’t see him fighting on much longer, if he chooses to fight on at all. Next we have Miguel Cotto. Cotto is having something of a mini career crisis at the moment without having done anything wrong. He was wobbled by DeMarcus Corley and all of a sudden in some people’s eyes, the next big thing is about to become the next big bust. There can be no doubting Cotto’s skills and he will surely go on to collect further world titles, although I cant see any of them being at light welterweight; he puts on an obscene amount of weight between weigh-in and fight time and is surely destined to be a full-blown welterweight sooner rather than later. Ricky Hatton was a popular choice, and should he fend off Tszyu he will be in prime position to dominate the division, with plenty of the talent pool ready to move up or retire, that might leave a clear path for Hatton to make a play for the remaining belts. Although it is not just the fans that recognize the light welterweights as the best, the lightweights also want a piece of the action, with Acelino Freitas already at 140- pounds and the possible arrival of Jose Luis Castillo and maybe even Diego Corrales. That should ensure that light welterweight remains the division to be in for the foreseeable future. How good was Ike Ibeabuchi? For some people, Ike Ibeabuchi was the saviour the heavyweight division never got. For just as many he was another black eye in an already tainted sport and we are better off without him. Whichever side of the fence you sit on, there can be no denying his potential. Ibeabuchi’s record got left high and dry at 20-0 with fifteen knockouts; he had swept aside the usual mix of trial horses and fringe contenders before besting world rated David Tua over twelve rounds and then Chris Byrd via fifth round TKO. Ibeabuchi was clearly heading in the right direction and would have been an almost cast-iron certainty to pick up a version of a world title at some point, and then the rest is history. I think the real question here, is could he have beaten Lennox Lewis? Hasim Rahman and Oliver McCall did so why not Ibeabuchi? Ike would have found locking horns with the imposing Lewis a far more difficult prospect than he had ever faced before; it is one thing to outscore the powerful but limited Tua, and land a home run on the slippery Byrd, but it is another thing entirely to go head to head with the pugilist specialist Lennox Lewis. The consensus among the forum members is that Ike would have had a chance, but ultimately been educated by Lewis over twelve mentally painful rounds. But hey, what do we know? Ike may have gone in there and walloped Lewis inside three minutes. Unfortunately, Ike denied us, and more importantly himself the opportunity of ever finding out. Who will dominate the middleweight division? When Bernard Hopkins calls time on his career there will be a lot of good fighters jostling for position, when the smoke has cleared who will be the top contenders standing in line ready to pick up the pieces? First off, let’s look at Hopkins’ July challenger, Jermain Taylor. Jermain Taylor is in a great position, he gets to fight Hopkins for the titles, yet should he lose he will certainly be back shortly after for another try at a different opponent. In the same way that Howard Eastman will be back for another crack, he did not do anything out of the ordinary, he did not give Hopkins a life or death struggle, he simply had a go and came up short, nothing wrong with that considering the opposition. Felix Sturm is one fighter who can feel a little hard done by. He was the sacrificial lamb in the Hopkins-De La Hoya circus and he paid for it with his championship belt, then handed to Hopkins via De La Hoya. Sturm is pencilled in to face New Zealand based Samoan Maselino Masoe for the WBA’s regular title in June; he could well be the first of the new dominant champions at 160-pounds. Winky Wright will almost certainly be looking for big fights at middleweight, but without Hopkins and Trinidad, where does he go? When the belts are shared out, are the holders going to insist on fighting Winky? Of course they aren’t, and who could blame them? Notable mentions to vastly improved Sam Soliman, returning Fernando Vargas and rising star Arthur Abraham, all of which will expect to be in the title picture very soon. We were finally let in on one of the worst kept secrets ever when Amir Khan gave up his vest after finally getting one over on Cuban nemesis Mario Kindelan. It was a case of third time lucky for Khan in revenge over Kindelan for their previous two meetings, most notably the Olympic final 2004. Many forum members wonder if Khan can carry his amateur success into the paid ranks; the simple answer is, we have no idea. We have all seen amateur stars make good on their potential, and we have seen some of them come a cropper, until we get to see him as a professional we cannot be sure, although with his background and new promotional outfit, he will have everything in his favour. Khan will open his professional account on the July 16 this year as chief support to Danny Williams and Matt Skelton’s battle for the British heavyweight title. Best of luck Amir. Be sure to check out next week’s edition as I once again avoid the subject of Ricky Hatton vs. Kostya Tszyu like the plague. I will be ably assisted by Andrew Golota and Lamon Brewster as their tussle for the WBO heavyweight title will almost certainly dominate the forum gossipâ€¦ I can hope can’t I? Previous Born With the Wright Stuff: The Gift of the Jab. Next Carlos “El Famoso” Hernandez: Not all Nice Guys Finish Last.